It’s late night cable TV entertainer Action Bronson‘s world. We just live in it. Just look at this beast skull tattoo he announced on Instagram today. Seems a bit extra. But then again — we don’t get paid to take dabs and narrate while top chefs cook us food. You do you, Action. Just consider some skincare, broheim! Lookin’ a bit inflamed. On June 4, Action Bronson announced a new season of his hit show “F*ck That’s Delicious” debuting July 10 on Vice. 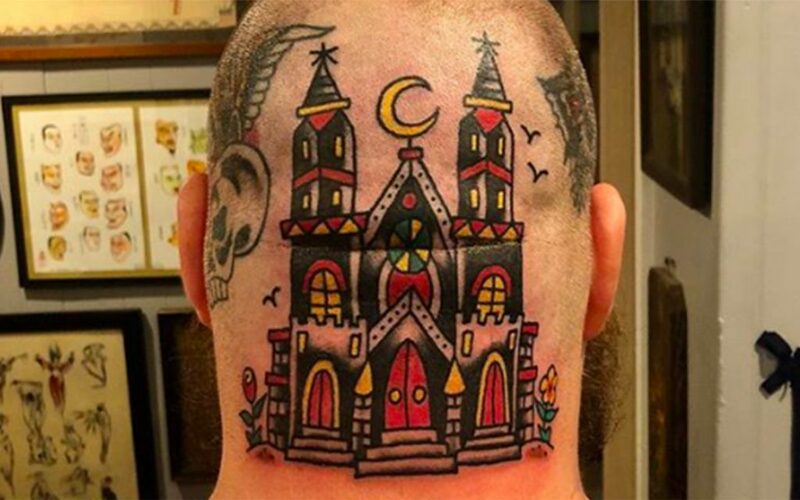 Itching from a giant head tattoo? Find your closest dispensary. Looks like a Islam inspired tat of a Mosque to me.